Discussion in 'Completed Pin Sales' started by Connies_Hobby, Jul 11, 2018. I am HOPING I will be attending this event. 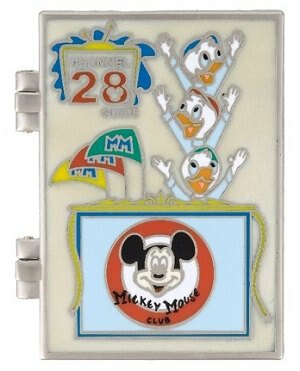 If I am successfully with my registration tomorrow (7/12), I (along with @MerlinEmrys I'm sure ) will be offering to take RSP requests of the Channel 28 Pin Series @ cost, plus mandatory fees, etc., for those closer to Disneyland. I will post if I am registered as soon as I know. krand1276, Ocean7, MerlinEmrys and 2 others like this. Oh I think you're on you're own on this one, Connie! 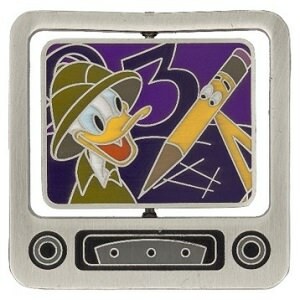 This is a DLR exclusive. Shall we hold off on requests until you confirm your ticket? So, below are the prices for each item (plus the cost of each pin for BOX SET/CO-OPS). 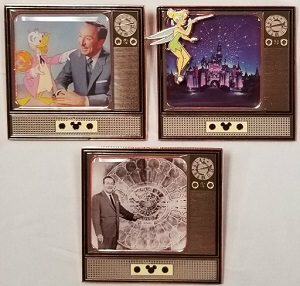 Please note, since the "wheel of pin pick up instructions" has already been invented and critiqued by @MerlinEmrys/@speedwaystar1/@Shelterkat for WDW/DLR pin pick ups (thanks you wonderful Dynamic TRIO!!) I am going to use some of their methods to process this pick up series. All RSP requests MUST be submitted by: Wednesday, July 25th @ 6 p.m. PST. As soon as the RESULTS are received, I will be posting them. Shortly thereafter, I will be sending out invoices to the Winners. 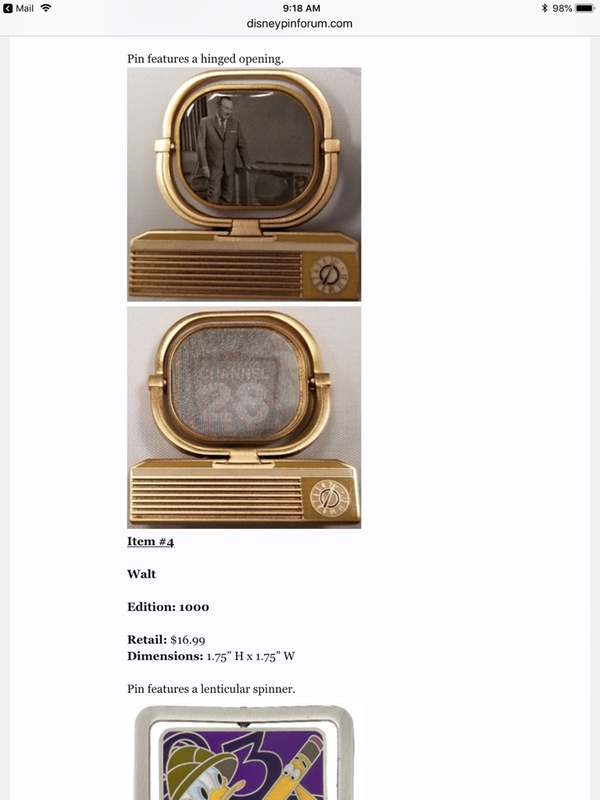 I know that the Mystery Boxes are the Main Pins everyone is interested in. I am 99.9 percent certain (from my experience from the Aladdin Anniversary release last October) that I will be able to pick up an extra 10 boxes the night of the event (hopefully more, we shall see). As it applies to Box Set Co-ops, a full set will need to be requested before I request it on the RSP. I think we can up the number of Spots on the list's below to 3 each (@speedwaystar1 would you please update this). First come, First served as it applies to the winners from the RSP results. Okay, I think that is enough for now. If ANYONE has a question, please do not hesitate start a conversation with me. SUBMITTED: 7/25/18 @ 6:25 p.m.
As soon as I receive the Results, I will ask @speedwaystar1 to update the lists. 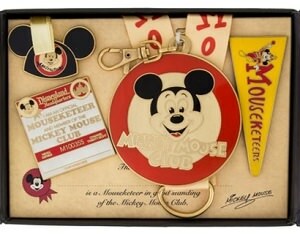 After that, I will be sending out Invoices to each member who has been awarded their items. Payment MUST BE submitted to me no later then Wednesday, August 8th @ 6 p.m. PT. I am HOPING to get 2 more SETS the night of the event. One will be for @OnceUponADream since you were the 4th request. The Second one (since the Co-op for this set was not completely filled at the time of submission tonight) will be used to distribute among the members next in line who DID NOT requested a whole box set if the Co-op was not filled. I am HOPEFULLY I will be able to get 3 more bricks of 10 boxes each the night of the event. If anyone has questions, please contact me via a private Conversation Message. DeputyDonald, speedwaystar1 and MerlinEmrys like this. Could I be in the list for 3 boxes of the mystery pins? I'd like to be on the list for the Songs Box set. and two of the mystery boxes please! good luck! 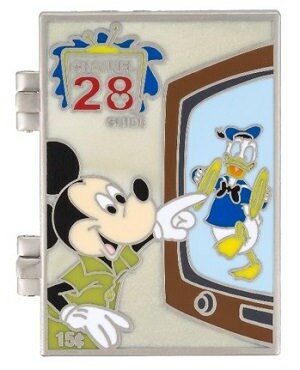 can you put me down for the disney afternoon spinner please? 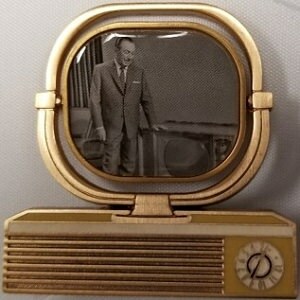 Please put me on the Walt TV list. Thank you! 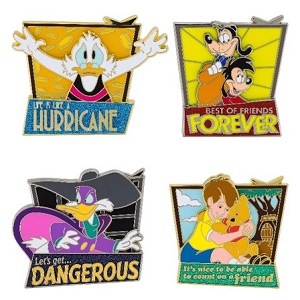 Can you put me down for 3 boxes of mystery pins please. I would love 2 x mystery boxes. Thank you so much for offering this! I would love three mystery boxes please! 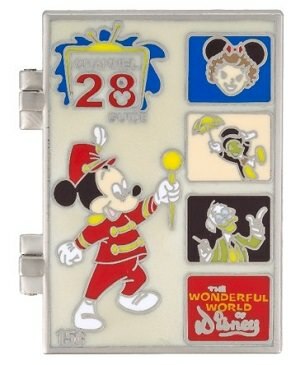 I would love a shot at the TV Jumbo (#7), the Song Box Set (#9), the Mini Jumbo Walt Box Set (#11), and 3 mystery boxes. Thanks! ------ SUCCESS ----- I am OFFICIALLY REGISTERED! That being said, I will be adding all the info to this thread with in the next 24 hours. In the meantime...please feel free to submit your requests. timeerkat, cadien, DisneyJ and 1 other person like this. Just some additional information I've gathered. I called event services to get the scoop! This event is definitely a DLR exclusive. 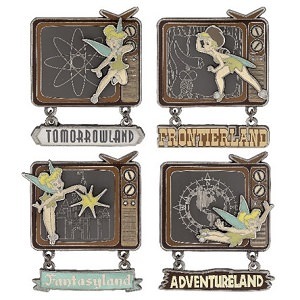 These pins will NOT be available at WDW. They are checking to confirm the total number of pins in the mystery box set. The catalog info doesn't mention anything about chasers, so there's a solid chance it's just the 12 pins pictured. But they will get back to me once they hear from their Pin Partners. 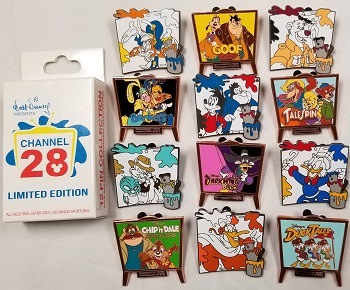 Edit: Confirmed, only 12 pins in the set. No chasers. Connies_Hobby and cadien like this. 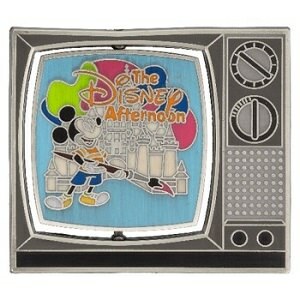 Does anyone want to help with this event pin pick up? If so, lmk ASAP. I will pay for registration. The person must be present to pick up pins. Hi @Connies_Hobby! So, I’m all new to this but just signed up for the event. Provided nothing comes up that would prevent me from going, I’d love to help pick up anything I can for folks here. Connies_Hobby, krand1276 and MerlinEmrys like this. @Connies_Hobby you can take me off the list for the Songs Box and mystery boxes as I've worked something out with Omi. Hopefully that will open up some extra slots for people since the le on the box is so low! Just wanted to note: after looking at the RSP you can only confirm an order for 3 mystery boxes (One in each RSP slot) and then you can request an additional 7 boxes. The rest of the boxes will then be available for purchase during the event, with a limit of 10. So in theory, one person -should- be able to buy a total of 20 boxes. I've also worked out something with @pretty Omi so you can take me off the Mystery Boxes to allow for others a chance! 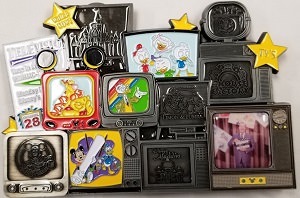 If you get one I’d like the Donald Duck spinner. If you still have room, could I please be put down for two of the mystery boxes, please? If not, then no worries, I'm sure I'll be able to get the two pins I need elsewhere.